Home Donald Trump As Democracy Unravels, Are Republicans Like Bob Goodlatte Patriots or Not? 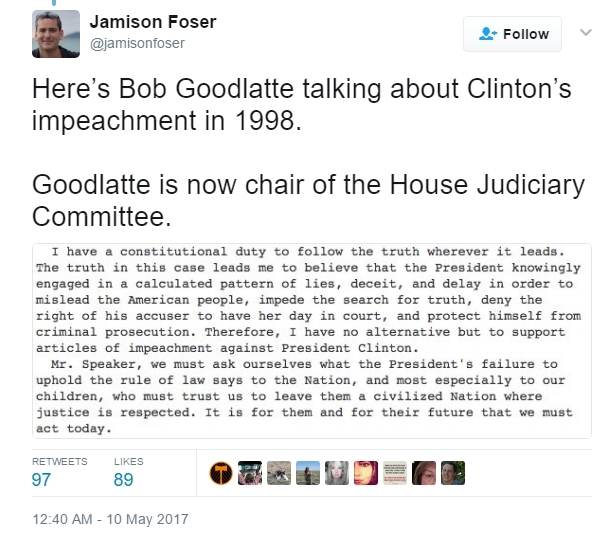 As Democracy Unravels, Are Republicans Like Bob Goodlatte Patriots or Not? 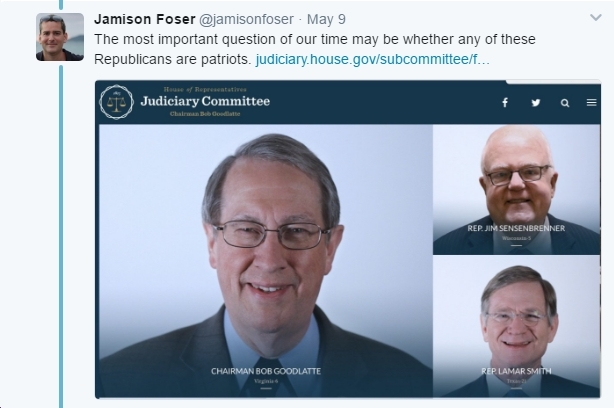 Previous articleThursday News: Trump’s Comey Firing Requires Special Prosecutor ASAP; Are There ANY Republican Heroes (Ed Gillespie Isn’t One) Left?